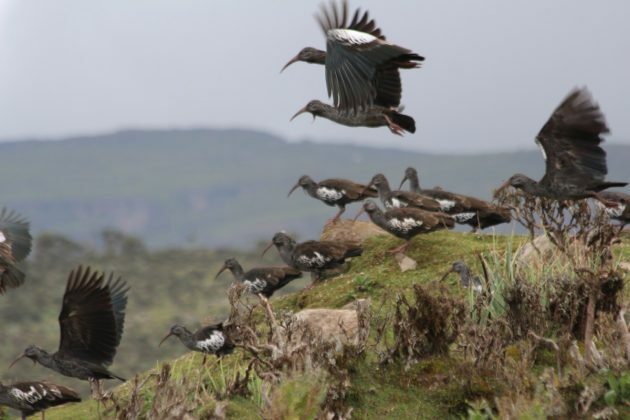 The Sanetti Plateau in Ethiopia is a one of Africa’s greatest birding locations. High above the great Rift Valley, endless treeless plains stretch out as far as you can see, holding birding (and other wildlife treasures). 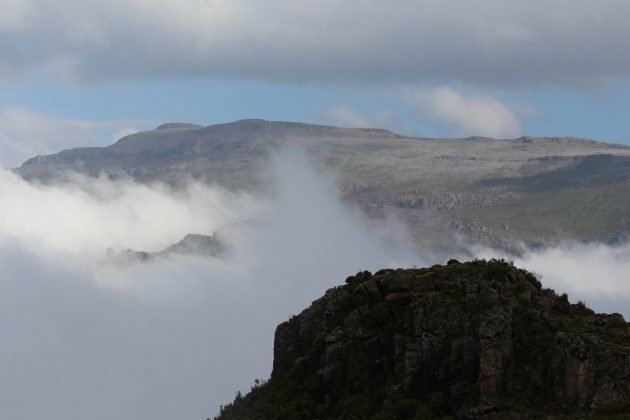 An eclectic mix of endemics, specialties and oddly displaced species, it is one of the most memorable places I have ever birded… and I never visited it as a trip. Every time I went there I was on my way somewhere else. Last year I had the weird (deeply, deeply weird) honour of working on a TV show in Ethiopia. A friend of mine who was creating it asked me to go, and who was I to say no? 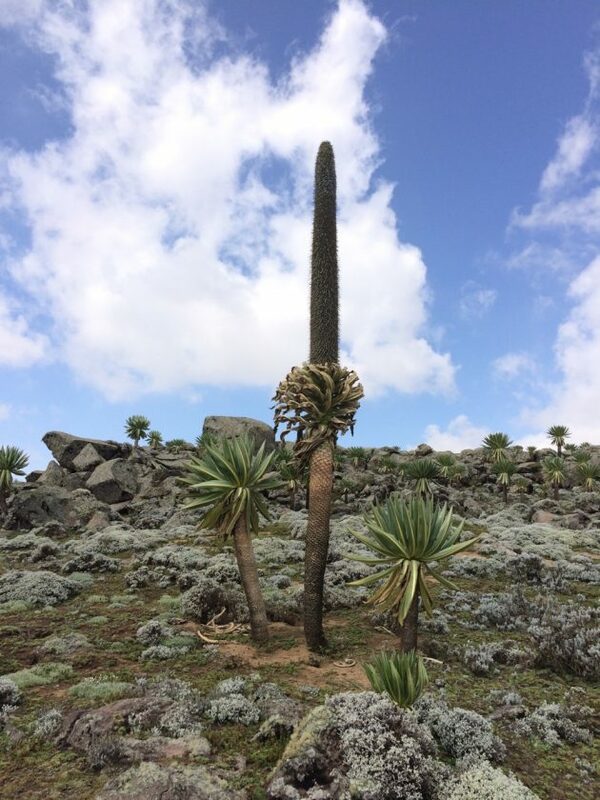 I spent 3 weeks in Ethiopia, mostly in the Harenna Forest which is nestled on the southern slopes of the Bale Mountains, the range that the Sanetti Plateau caps. It wasn’t a birding trip and I didn’t see huge numbers of birds, but what I saw pretty special. And to get from the regional town of Robe (where we needed to go for supplies and flights) and our filming location, we had to cross the plateau. Happily, everyone involved was interested in wildlife, photography and generally chilling, so the trips were never fast and stopped to take in the sights. It was, as commutes go, pretty epic. Breathtaking too, in more ways than one. Stop and take a quick walk and both the diminished oxygen and cold leave you short of breath. 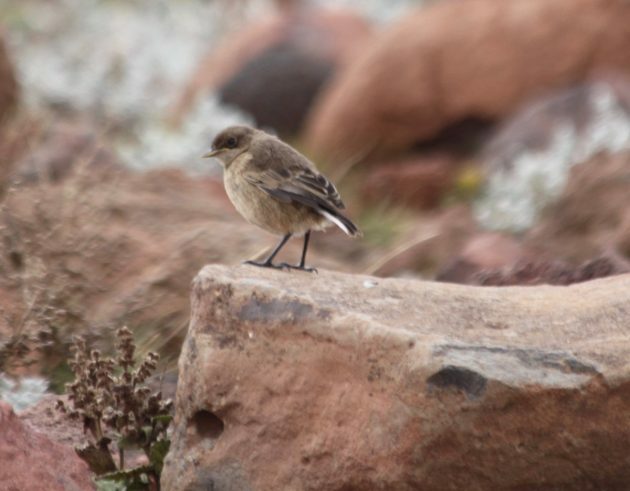 The primary reason birders go to Sanetti are the upper mountain endemics. 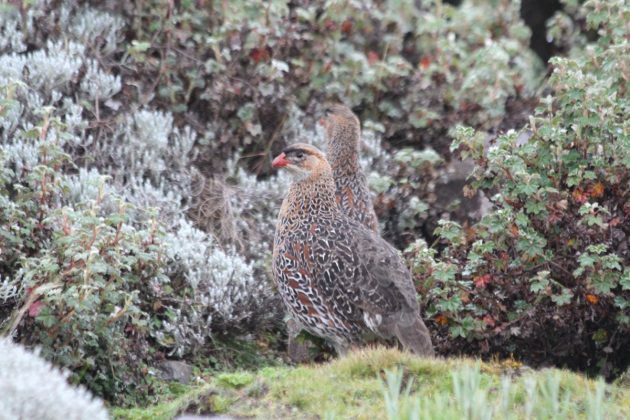 As you begin to emerge from the trees impossibly bold Rouget’s Rails can be seen stalking around, and groups of Chestnut-naped Francolins are common too. 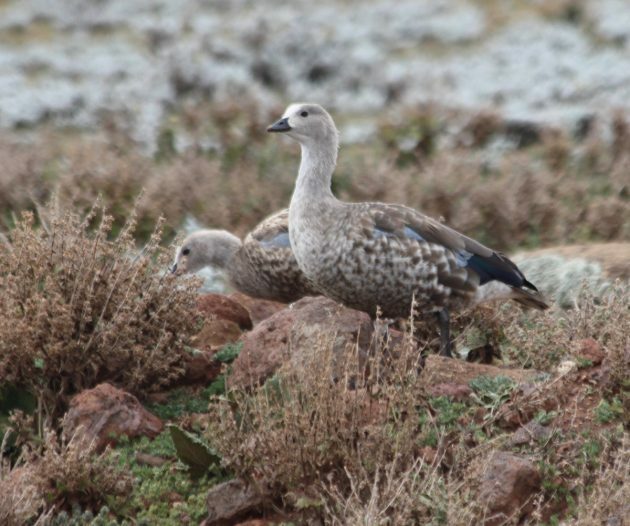 As you climb you can stop to see facinating species like the Blue-winged Goose, a strange species whose closest relatives are in South America. 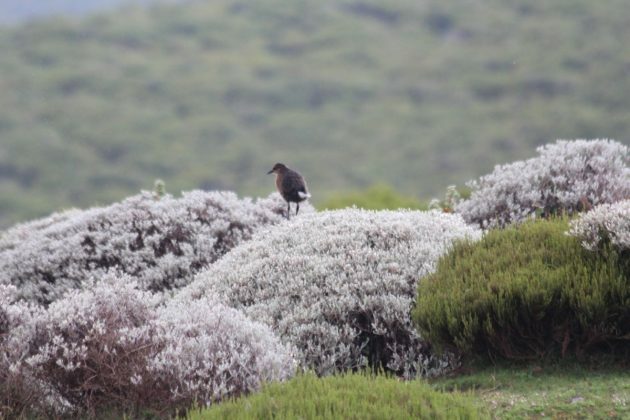 Smaller endemics include the attractive Spot-chested Lapwing, Ethiopian Cisticolas, Abyssinian Siskins and Moorland Chats. Larger endemics like Wattled Ibis and Thick-billed Ravens are found here too, but can also easily be found in less inhospitable climes. As you drive along you see plenty of mole rats too, if you like mammals. And the biggest staris also a mammal, the Ethiopian Wolf. Desperately endangered, they are reasonably easy to see here, and pretty much only here. Rouget’s Rail. So very bold! These Chestnut-naped Francolin look like they have lipstick and heavy eyeliner! The Sanetti Plateau is also a good place to see other species you mightn’t expect to find here. 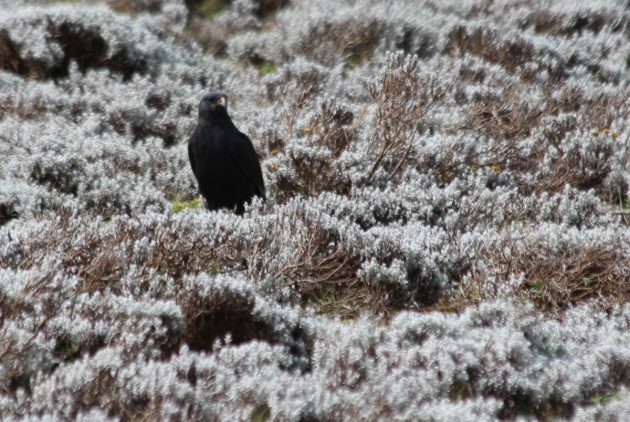 Common Choughs are typically a species of Europe and Asia, and one I failed for years to see in Wales. But a small relic population lives here. Same with Golden Eagles, another European lifer that I got in the unlikeliest place imaginable. It’s also home to the only African population of Ruddy Shelduck. Augur Buzzards are common here and everywhere else too, but a Lammergeier was a special find. And Eurasian migrants winter here too, like Wood Sandpipers, Meadow Pipits and Garganey. 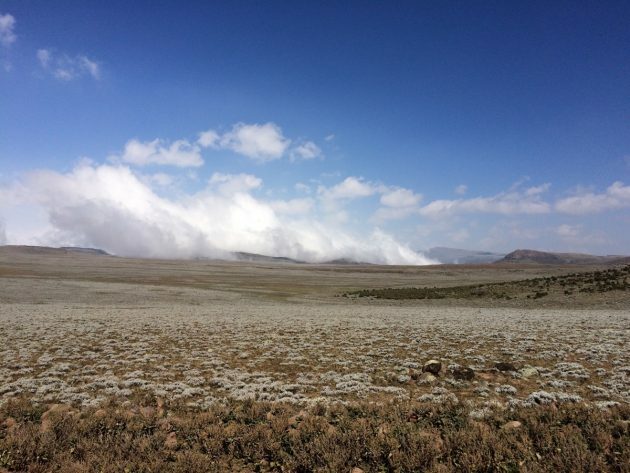 The Sanetti Plateau is, like the whole Bale Mountains ecosystem, deeply important to the ecology and lives of the local population and deeply threatened. If you ever have the chance I urge you to support the Frankfurt Zoological Society and their project to save this amazing place. Please give your friend my contacts, no matter how weird his productions. Ta. This post is insane, Duncan. Insane.